Laura Stein—wife of Electronics Editor Ben Stein—reflects on her family’s ­decision to live aboard and all the good, bad and unforgettable that comes with it. 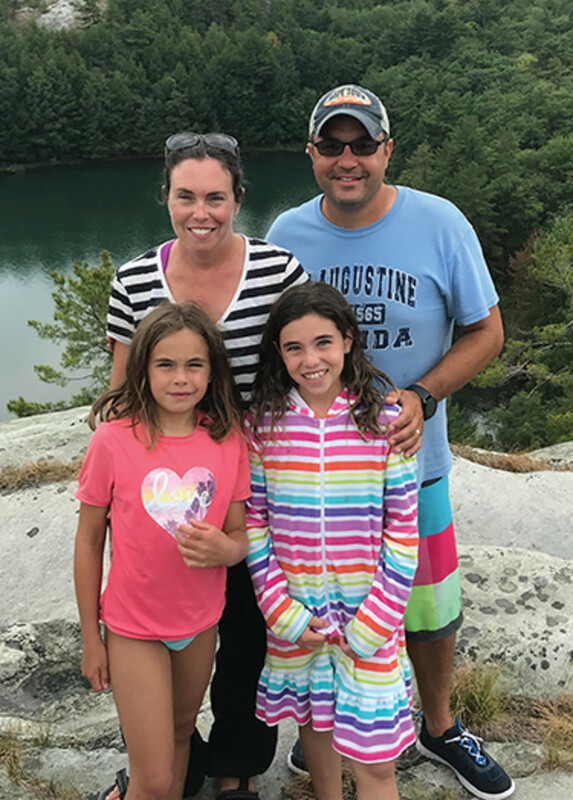 My family completed our Great Loop adventure in October 2017. We crossed our wake (Great Loop speak for completing the loop) traveling from St. Joseph, Michigan to Chicago on a gorgeous fall day. My oldest daughter, Molly, 11, and I cried most of the way across the lake; we were emotional about our journey coming to an end. 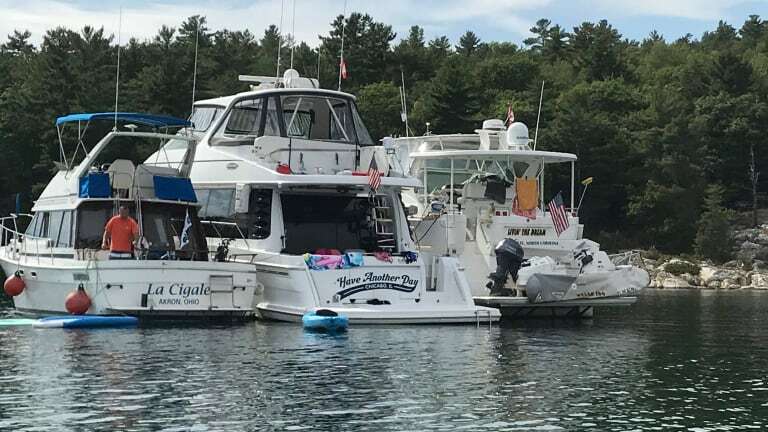 We arrived home aboard our Carver Voyager 570 Have Another Day to a dock full of family and friends and spent the day celebrating, catching up and doing our best to postpone the reality of being back on land. 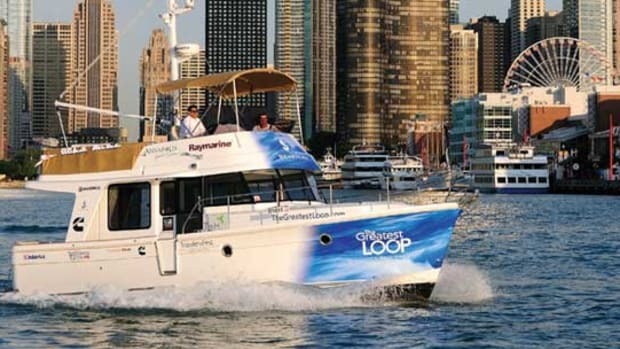 When my husband, Power & Motoryacht Electronics Editor Ben Stein, first suggested we do the Great Loop, I thought he was crazy. Both girls were in school full time. 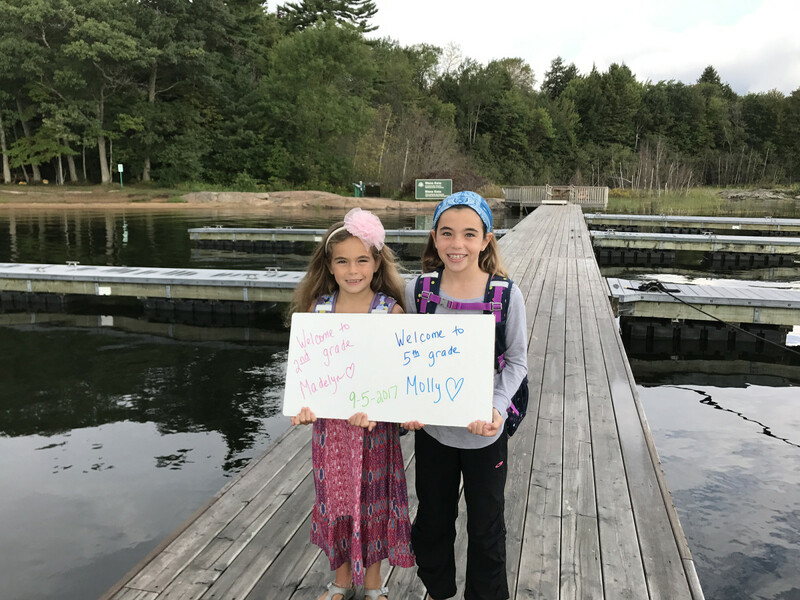 Madelyn, 5, was in kindergarten and Molly was in 3rd grade. Ben was traveling regularly for work, and I was trying to keep our heads above water at home. Ben and I have always loved to travel, but this was much more than just a vacation. I thought about it for quite a few months while we tossed around what seemed like a crazy idea. Our plan, at first, was to leave right after school got out, heading north on Lake Michigan and the other Great Lakes for the summer. 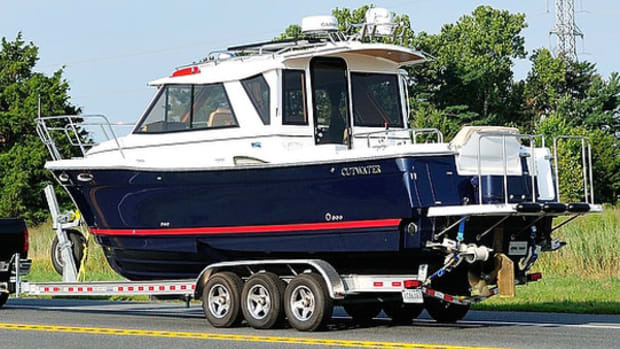 Call it an extended test drive for living aboard. But slowly, as I warmed up to the idea of the Great Loop, it seemed silly to go north only to turn around and head south again. Once I committed fully to the trip, we started planning how to best make life aboard work for our family. The nomadic lifestyle feels somewhat magical. Cutting all ties to the humdrum routine of normal life—no traffic to sit in or alarm clock to set, no work or school schedule to contend with—we began to make decisions on the fly regarding where we would be, and when. Well, almost all the decisions. Mother Nature was the true master of our schedule. Boat-schooling was a challenge the Stein family was well prepared for. The real education—the life lessons learned on the water—is what’s most rewarding. We had talked to enough Loopers—what those travelling the Great Loop call each other—to know that our homecoming could be a difficult transition. And it was. We had planned ahead a bit—a family event in Florida about a week and a half after we got home allowed us to leave again, this time for a long road trip. 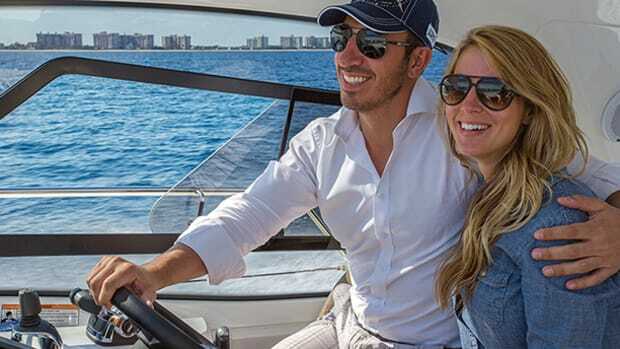 After the event we stuck around, visiting some of the many friends we made on the Loop, went to the Ft. Lauderdale boat show, and then slowly made our way north. By this time, it was the middle of November and we had to finally face reality. Many people kept asking when the girls were coming back to school. We decided (with their input) that I would continue to homeschool them for the rest of the year. 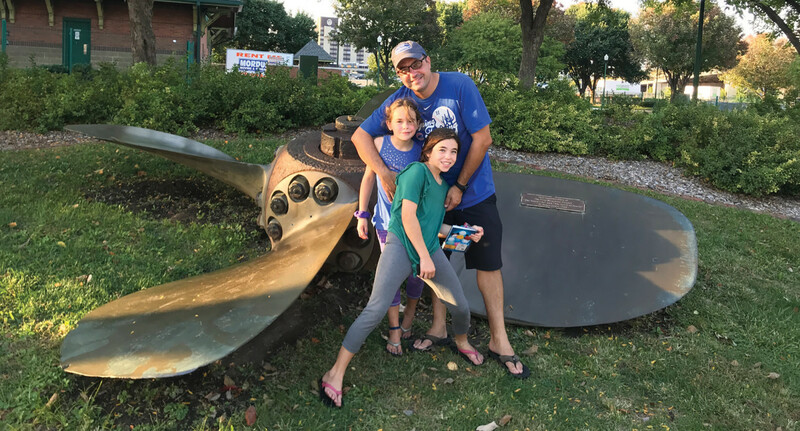 Ben threw himself into reinventing his career and the girls and I focused on school and planning activities. Have Another Day was put up for the winter. It was a long one: The cold, graying conditions made it clear how much we all missed the water. As a family, we decided that would be the last time we put Have Another Day in winter storage. Ben, Molly and I were anxious to be back on the water and explore new places. Madelyn talks a good game about not caring (she says she likes her toys at home), but she squeals as much as the rest of us when a dolphin appears in our wake. So, Ben and I spent the cold winter months hatching a plan for the future. The boat would be back in the water in the spring—and we would take off as soon as we could. Heading back to Canada was in our sights for the summer and then, eventually, we would travel south. 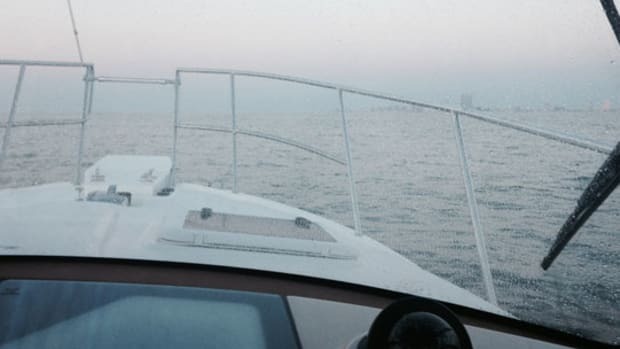 Last July we headed up to Lake Huron’s North Channel. This time, leaving home didn’t produce the same feelings as before. From now on, cruising was going to be our life. This meant learning to work from the water for Ben, and visits back to Chicago when needed. We also made a conscious effort to meet up with other families who were in the process of doing the Loop. This was a completely different experience for the kids. We met amazing people during our Loop, and the girls inherited a lot of surrogate grandparents, but having kids their own age to play with this time around was truly special. 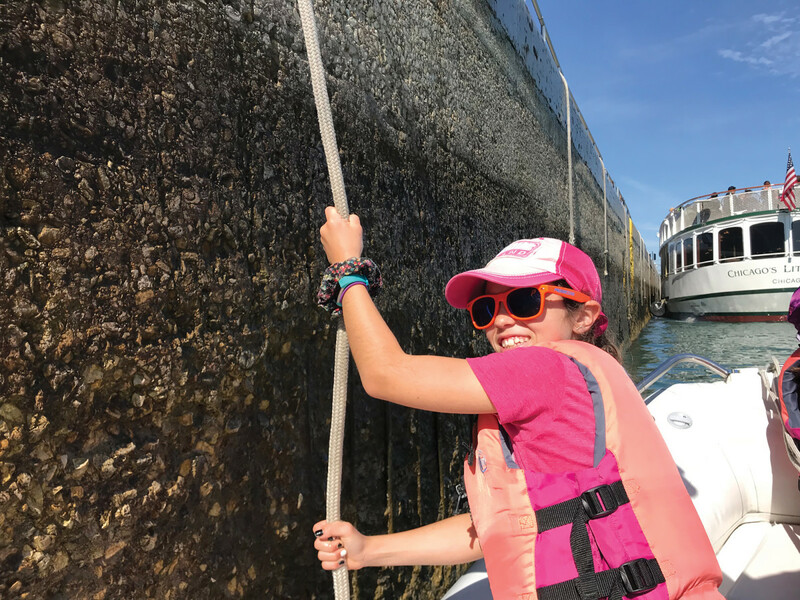 Whether it’s working the locks, being boat-schooled or taking in iconic sights, Madelyn and Molly are getting an envy-inducing education. We spent three weeks traveling the North Channel. We would land ourselves in an anchorage and as soon as we got the anchor down, the girls would be swimming. Paddle boards became their primary mode of transportation. Suddenly, they had the freedom and safety to be on their own with other kids. Ben and I could keep an eye on them while they played and explored. They became more independent and adventurous. (They don’t have this option at home in Chicago; I don’t even let them play in the front yard unless one of us is sitting out there keeping a watchful eye on them.) To be free of the boat, exploring islands and swimming and playing all day without an adult was truly remarkable. I gave them only two rules: they must be in a PFD at all times and we needed to be able to see them. That was it. We managed to travel with one family or another most of our way back to Chicago. We were home for a month and got split up from everyone as we headed down the rivers at different times. 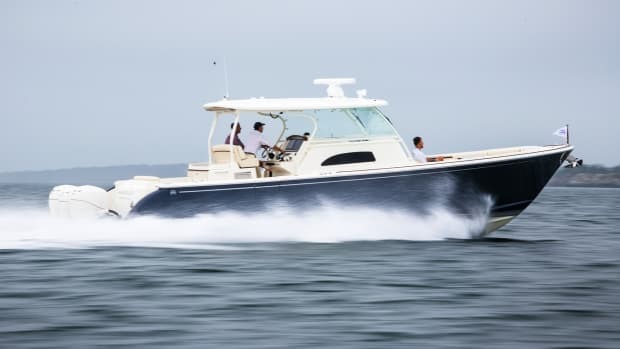 Ben has thrown himself into marine electronics, matching two of his passions—electronics and boating—as the new owner of the popular marine electronics site Panbo.com. This turn of events has necessitated our current lifestyle: In order to effectively do his job, we need a boat in the water. Or at least that was my argument for taking the boat south for the winter. Last fall was a challenge in many ways: Mentally. Emotionally. (Technically you aren’t supposed to have such a hectic schedule while boating.) The list goes on. 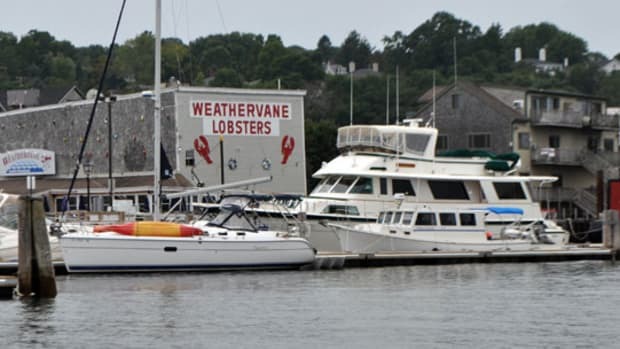 But, like I said, this time we’re living on the water, not vacationing aboard. We’re taking it one step at a time. Between Ben’s work travel and the weather it was a tough couple of months getting down the rivers. But besides the weather we have no true complaints. We feel fortunate to be able to live this life. 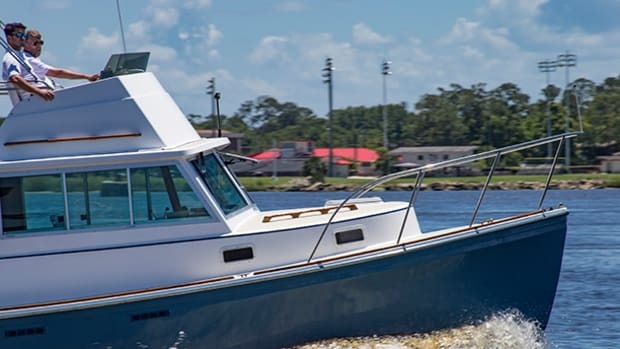 After quite a few weather and scheduling hurdles, we got the boat down the flooded and raging Illinois and Mississippi Rivers to the Gulf of Mexico. 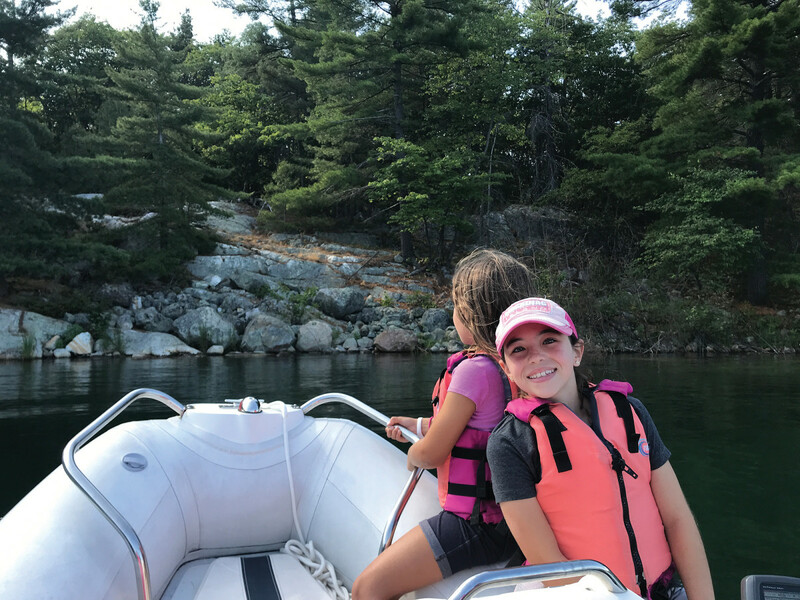 We reminded ourselves, our girls and all the other boaters we travel with that the first time we saw a dolphin would make up for the past month. The dolphins, as usual, didn’t disappoint. Cruising as a family for 14 months has been a gift. 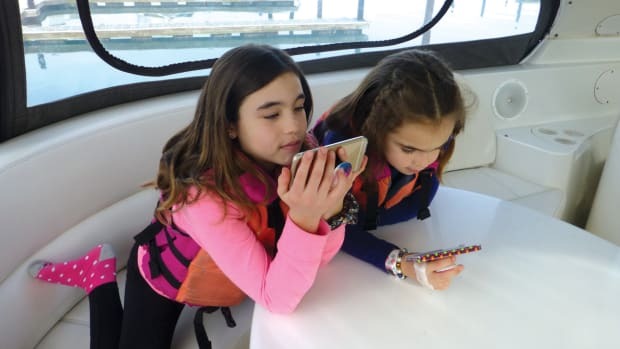 Currently, this lifestyle feels like an opportunity: to plan our future, to expose our girls to a different but wonderful way of life and to experience something new each day. Living on our boat has brought our family closer. We spend evenings playing games together and reading books aloud. When we arrive somewhere new, we take a walk and explore. The girls have become the best of friends—we got lucky there. Madelyn looks up to Molly for everything. 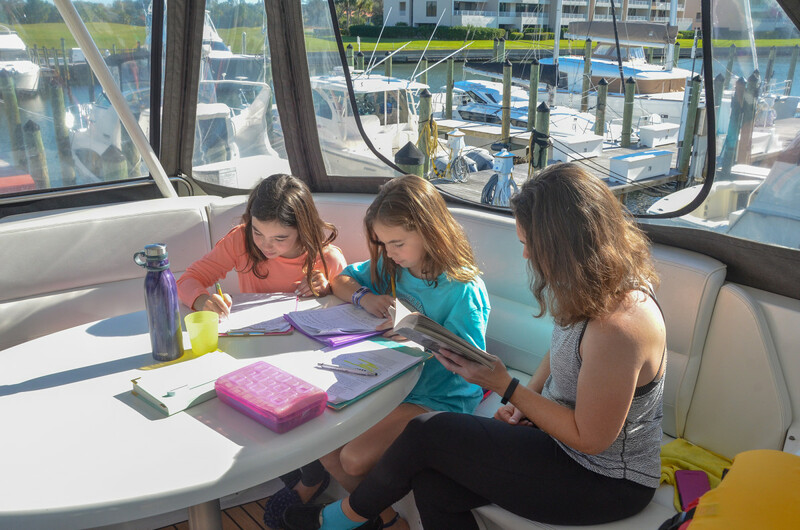 Our cruising lifestyle also means we continue to homeschool. This is my third year teaching the girls and each year has gotten better. It absolutely has its challenges, but overseeing my children’s education is amazing. There are many days that I learn as much as they do. 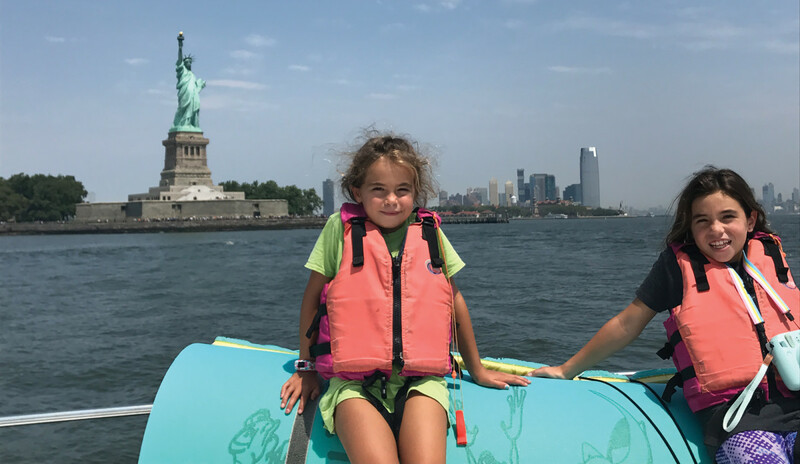 The author and her family have enjoyed incredible experiences, but it’s the people they met while cruising that make the most lasting impression. Now to be clear, the cruising life isn’t all sunshine and dolphins. We all need our own space at times. Weather and other boating issues raise Ben’s stress levels. 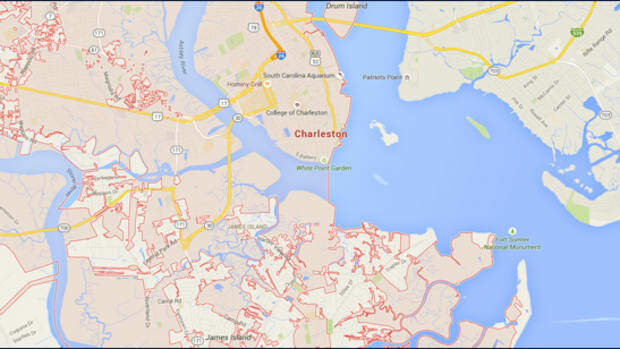 We get frustrated when we can’t go places because of flooding rivers and debris or wind. The kids get cooped up on long travel days and we all get whiny and cranky from time to time. But, so far, it’s worth it to keep trying. 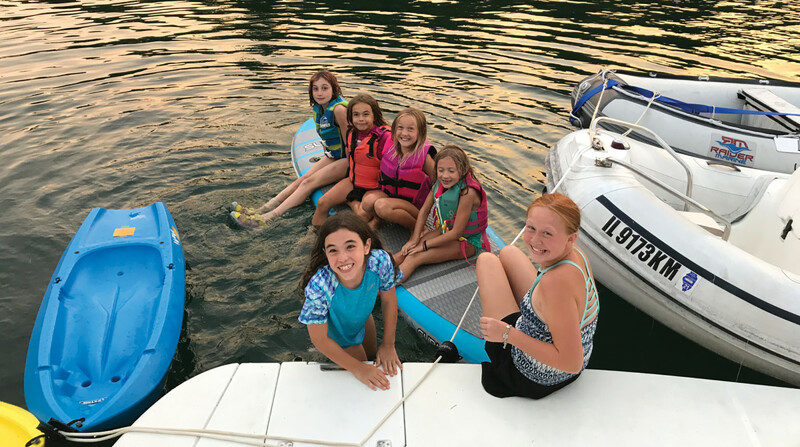 For now, we are trying to make this new work/life/school/boating balance thing work. We get to toss orthodontia into the mix this year for one of our daughters. A year ago we were sitting at home planning for the summer and heading south. Now that we’ve made it here, we look ahead to what new adventures we may be able to take on in the years to come. It’s always fun to dream. It’s more fun to make your dreams a reality.